Background : Mandibular subcondyle fractures are accounted for 25%-35% of all mandible fractures. Closed treatment has been the preferred treatment for several years because it’s relatively easier and non invasive but the complications that may arise are varied. Open reduction was one of the options that is considered to reduce complications. 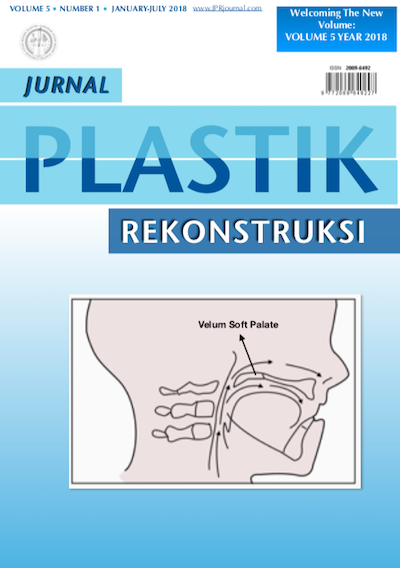 This study examines whether open reduction was a better choice than closed reduction in the management of mandible subcondyle fracture with parameter outcomes are complications, facial nerve injury, pain, and mouth occlusion. Method: A literature study was conducted from two databases: PubMed and Journal of Cranio-Maxillo-Facial Surgery (JOMS) with predefined keywords and references from 23-28 January 2018. The search was conducted with mandible subcondyle fracture, open reduction, and closed reduction. The search has been limited only for the last 5 years and limited to meta-analysis and systematic review. From the search, there were three articles used based on inclusion criteria in this case review. Result: The reviewed articles showed that open reduction provides better results than closed reduction, although open reduction results in complications of facial injuries and facial nerve weakness, but the complications were transient and tolerable. Conclusion: Based on existing clinical evidence, open reduction was the preferred management rather than closed. reduction due to better outcome and fewer complication.